I will start the article with a short summary to make sure I am not losing the readers in technical data. This article will proof that in most of the cases the poor performance in Microsoft Azure IaaS is caused by the storage performance. The poor, or unexpected low performance you will get with Microsoft Azure IaaS is not because Azure is not capable to support high IOPS or doesn’t has fast storage. first of all because Microsoft Azure Portal is providing virtual machine templates (aka virtual machine series) who look very tempting for the Azure users, but whom in fact fit only specific workloads. second of all the Azure users who don’t have a real understanding of their needs and jump into provisioning the VM series recommended by the Microsoft Azure portal. The solution (especially when you don’t have the chance to fail, or when you don’t know the computing requirements of the resource you will host in Microsoft Azure): always start by provisioning DS-series or GS-series virtual machines hosted by Premium storage accounts. Of course this will come with much higher costs. In the majority of the cases the storage is the most cost driven factor. Now let’s go in technical details. Why did I used 8 KB benchmark tests? Why did I used MS Azure Standard Tier A series A3\large and DS3 VMs in the benchmarks? What will be the sequence and how the results will be processed? When we discuss about storage benchmarks we will hear at least the following keywords: IOPS, Throughput, Latency, Number of Outstanding I/Os. IOPS – the amount read and/or write operations that could be processed in a second. In general the software companies are able to specify how exactly their software will consume the storage and are able to provide exact details in terms of what kind of IOPS will be generated. Throughput – is expressed in Megabytes per second and represents the amount of data processed in a second (directly proportional with the number of I/O operations performed in a second). Latency – is the time taken for a single I/O request to be handled. As in the case of the IOPS, in general the software companies are able to specify how exactly their software will consume the storage and are able to provide exact details in terms of what kind of latency should be considered in order the software solution to run in optimal parameters. The 20 ms (20 milliseconds) latency is considered (link1, link2, link3, link4) as being the point where the storage performance starts to slow down the applications. So, in case you don’t know the exact latency specifications, consider the >20 ms latency as being “not fast enough”. 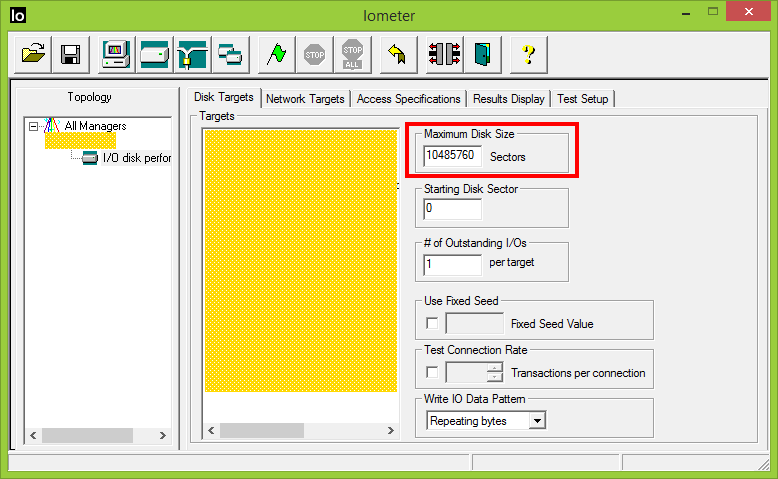 Number of Outstanding I/Os allows to gradually reach the storage speed limits. When this number is increased the OS will queue up multiple requests and will saturate (from speed / performance point of view) the storage -> in this way we will find out the maximum number of IOPS the storage can handle. 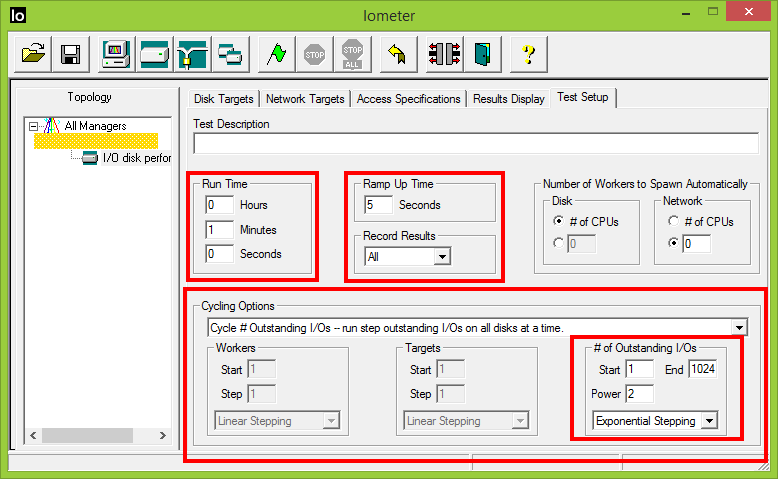 Iometer is the unquestionable IOPS benchmark tool. Even if the project wasn’t continued and the last updates are years ago, this tool reached the maturity in terms of functionality. These above mentioned access specifications are representing the extreme application usage behavior. 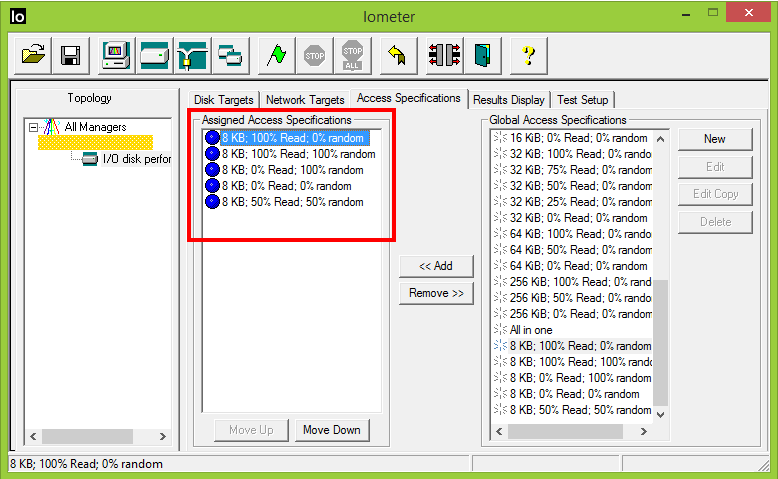 In general the number of read operations is a bit higher than the writes and the percentage of random I/O varies (is not all the time 100% random). The idea is to benchmark the extremes. The benchmark configuration file can be downloaded from here. Why did I used 8 KB stress tests? Why did I used a MS Azure Standard Tier A series A3\large and DS3 VMs in the benchmark tests? because the Azure DS3 has the closest configuration with Azure A3 Standard (4 cores, maximum 8 additional disks), but DS3 allows us to benchmark the Azure Premium storage (and the tests will also show if there is a difference between A3 and DS3 using Standard Locally Redundant Storage). In this way the benchmark tests are not influenced by other workloads (e.g. the F:\ volume benchmark results will not be affected by the IOPS generated by the Operating System). We will use Azure Standard and Premium storage for the benchmark tests. The on-premises virtual machine will have an identical configuration with the VMs used in Azure. 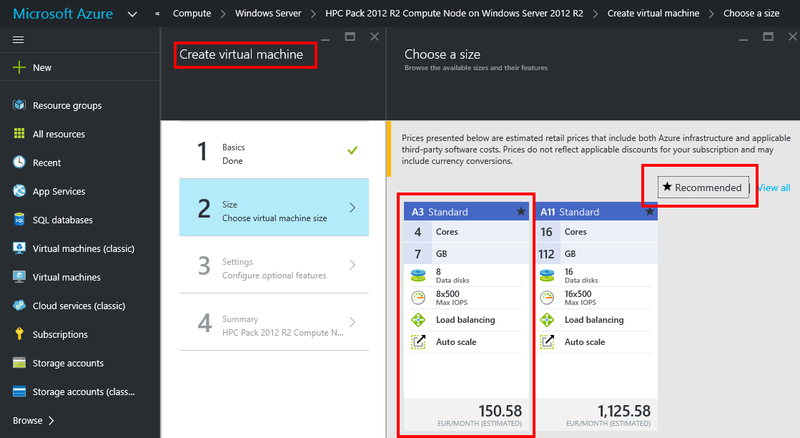 Continue with Microsoft Azure IAAS – storage benchmarks, comparison with on-premises (part 2).